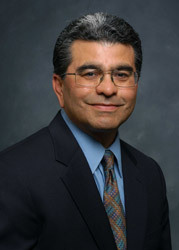 Ron Arias retired from the City of Long Beach Department of Health and Human Services in December of 2012 where he served as Director for 12 years. Prior to that time, he was the Manager of the Public Health Bureau, where he was able to roll out significant chronic disease prevention programs (including the childhood obesity prevention programs) and better connect the department with the community through targeted outreach and educational programs. Ron has received several significant recognitions, including the CSULB Distinguished Alumnus, the Roemer Public Health Leadership award from the Southern California Public Health. His passion for the community and his commitment to the health profession is unmatched, making Long Beach a great place for Ron to continue his work in the community as a retired resident.